However, this does not mean that the social network does not have its ‘cool’ side – similar to the other kids on the block. Just recently the company introduced ‘Reactions’ that would subtly remind you of the ‘likes’, ‘love’, and ‘sad’ responses on Facebook’s posts. But to keep up with its professional reputation, LinkedIn gave these reactions a business flair. Besides liking and loving the posts, there is also a ‘celebrate’ reaction to pat someone on the back for a new job or achievement. 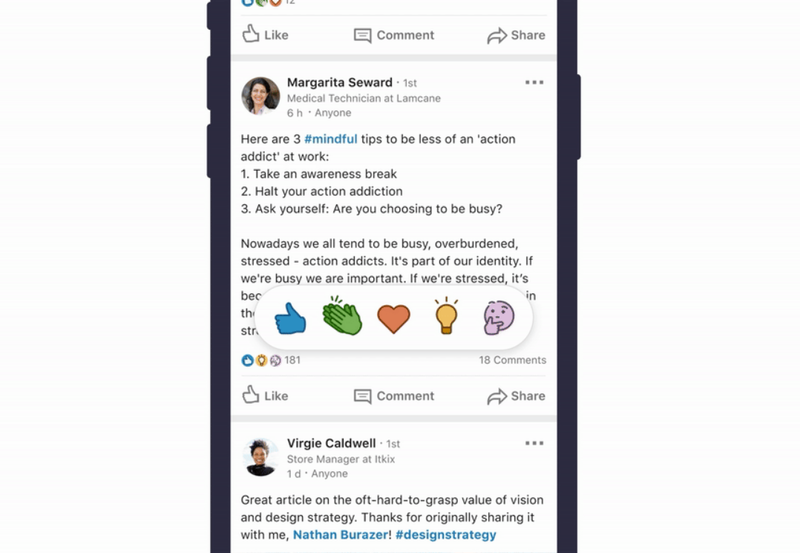 "LinkedIn Reactions is a set of lightweight expressions that offer members a way to more easily participate in conversations and communicate with their network." Product manager Cissy Chen, explains that LinkedIn has also added an ‘insight’ and ‘curious’ emoji to use when someone posts something knowledgeable or to avail more information from the end user. Not surprisingly, the company has not added any potentially negative Reactions. The Reactions are rolling out gradually but users may have to be patient for the full roll-out to take effect globally. LinkedIn has also shared the story behind the creation of these new reactions. "We’re proud to launch this set of five reactions to our members. As with everything we build at LinkedIn, the journey is never truly over. ", said Ricardo Rivera, product designer. Adding further, "We’re constantly seeking feedback so we can improve, but we’re excited to see how the Reactions will help our members bring expression to their conversations on LinkedIn."